To durably protect your surfaces, RBnano offers formulations that are resistant to mechanical and chemical attacks. 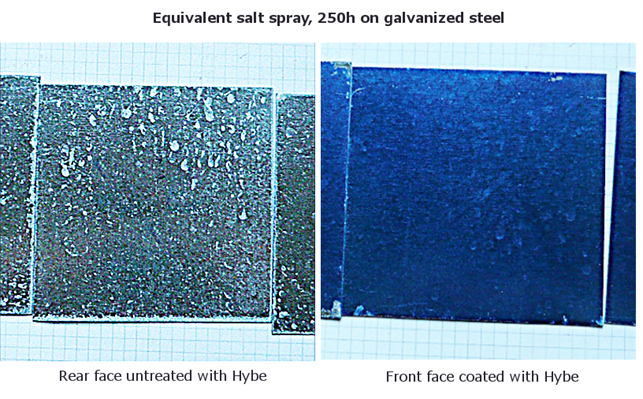 The images below show corrosion tests on aluminum and steel as galvanized steel. We master formulations for the protection of magnesium and other sensitive metals.